This is actually the "little secret" between Director Sportive and the rider who is currently on the run or has to "go down to the car" to collect a few bottles for the group members. The kit is a homage to the unwritten rule that allows riders to get "a little" help from time to time. The texture that adorns the shirt consists icons of bottles from the past. This is the L’etape top level bibshort that combine high-end technologies and the best quality materials, 225gr. 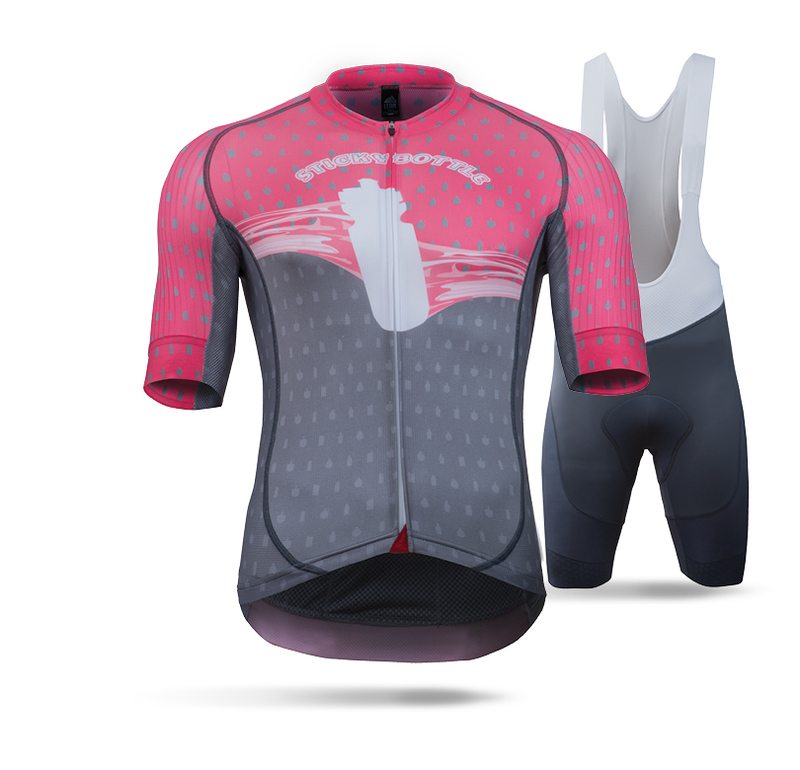 Lycra provides the maximum muscle containment for the long lasting performances. The Gel layer pad redefines a new standard of comfort and immediate feeling with the saddle. Customizable self-gripping leg bands - 3d structure net bibs. 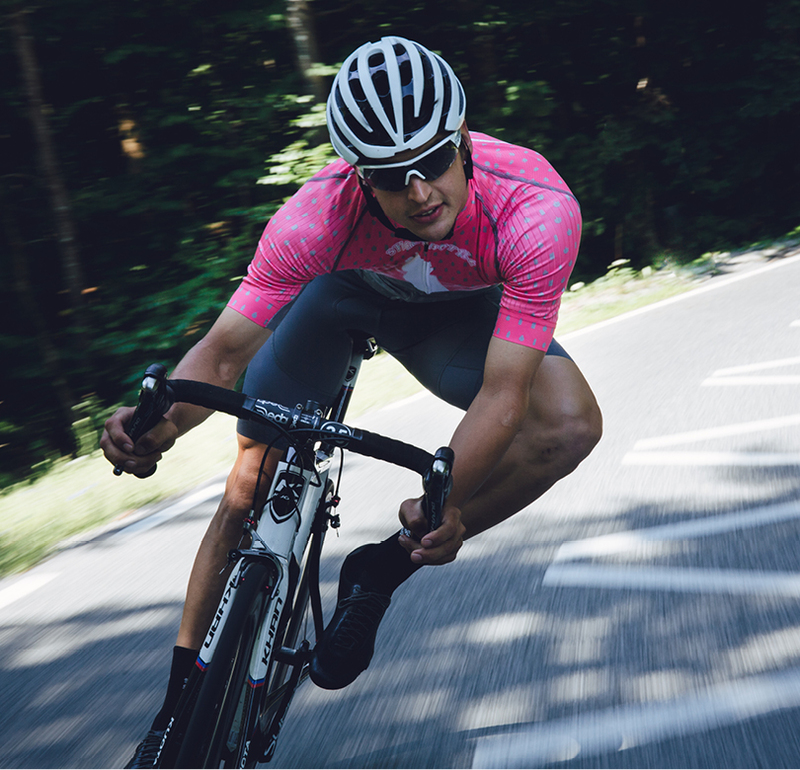 G-Layer is the evolution of HP GEL MEN chamois, keeping the same shock absorption, bacteriostatic and comfort capacities, with increased ventilation and fast drying. 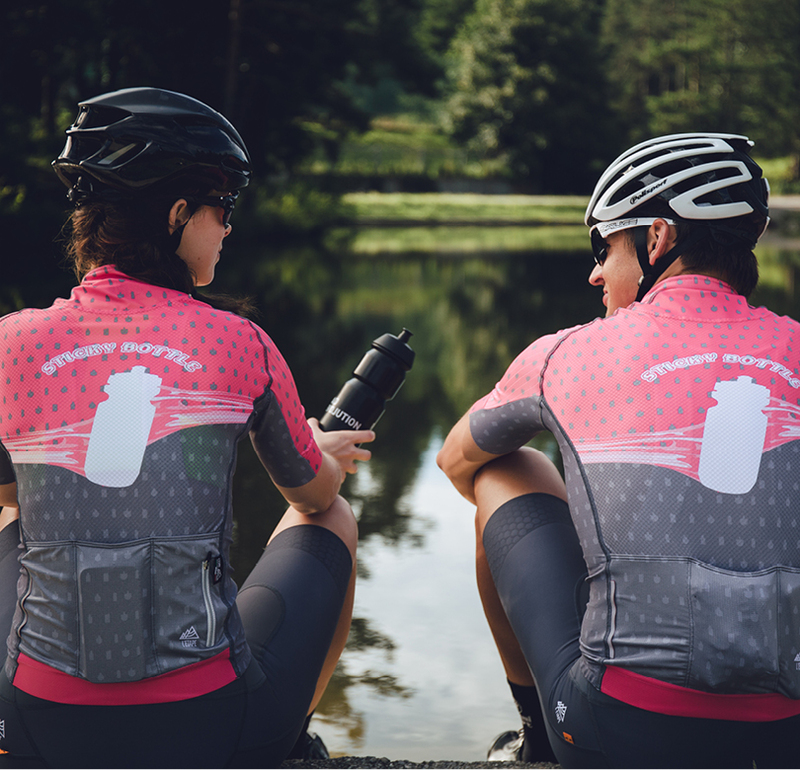 Ventilation holes are distributed in the areas with more moisture accumulation during activity, maintaining the chamois dry and functional even after long use.